They say you only have one chance to make a first impression. With us, you can make a big one. If your materials are already designed, we can print your project on any paper stock, using the latest in full-color technology. We can even complete the job with added touches like embossing and foil stamping, at your request. Put all this into a presentation folder and your image is complete! 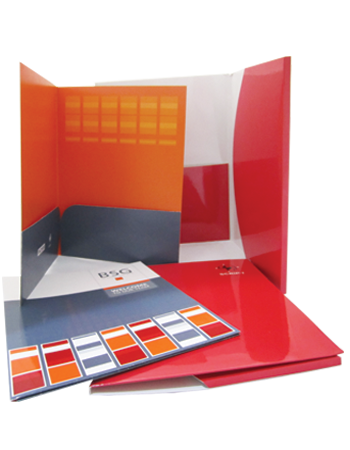 Folders can be made with a place to put your business card so your prospect can contact you.